The walk with a view of The Marshall House is what you can expect after dining at this restaurant. 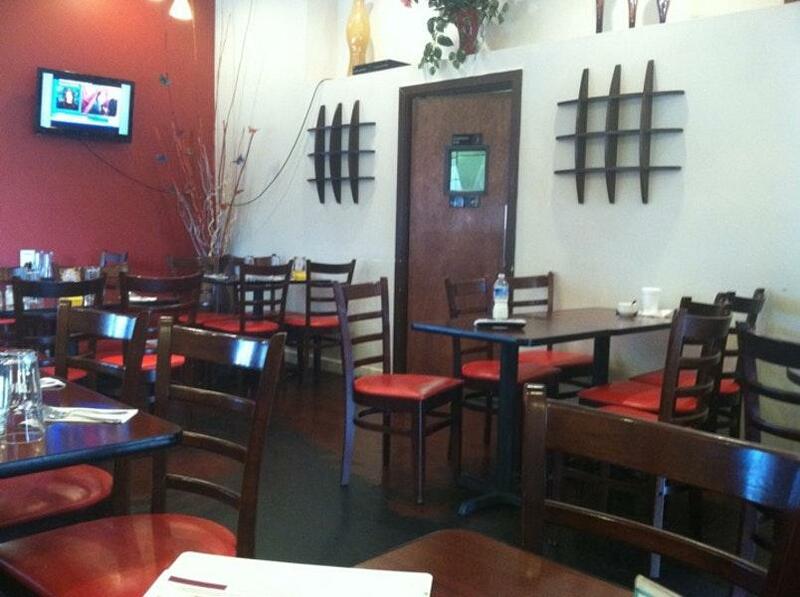 All the clients love great Thai cuisine at Thai Pan. In accordance with the guests' opinions, waiters offer mouthwatering drunken noodles, red curry and pasta here. Order perfectly cooked mango sticky rice. At this place, visitors can order delicious thai tea. This spot is famous for its great service and friendly staff, that is always ready to help you. Based on the reviewers' opinions, prices are attractive. At this restaurant, people can enjoy the pretty atmosphere and lovely decor. 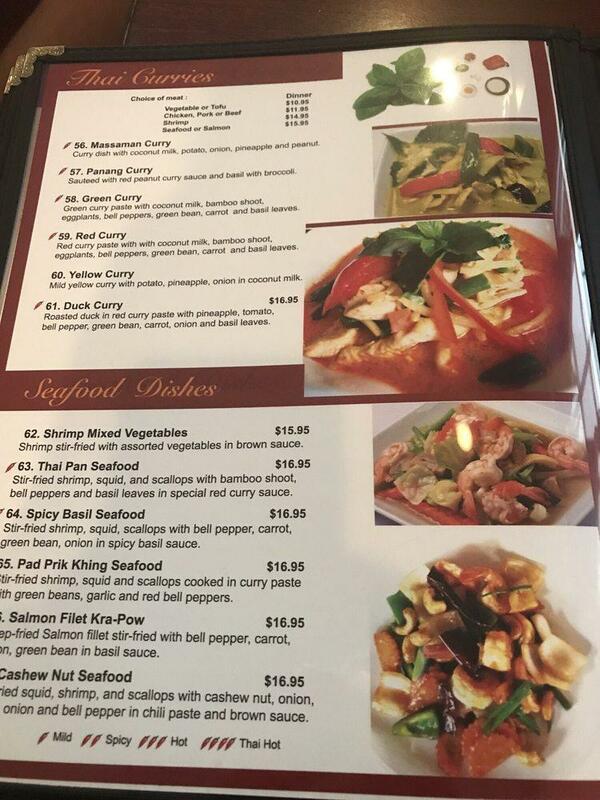 Thai Pan got 4.5 on TripAdvisor. Crispy fried spring rolls with bean thread noodles, carrots, and cabbage wrapped in a spring roll paper served with sweet duck sauce. Crispy fried spring rolls with chicken, bean thread noodles, carrots, and cabbage wrapped in a spring roll paper served with sweet duck sauce. Soft spring rolls wrapped in rice paper filled with cabbage, carrots, basil, scallions, bean thread noodles, and shrimp served with a peanut dipping sauce. Thai famous spicy sour lemongrass soup with mushroom & Thai herb. A rich spicy lemongrass and coconut milk soup with mushroom and galangal. Savory dumplings filled with shrimp and chicken in a light broth topped with green onions. Personally, I am not into Thai food that much. It is my wife's choice and she has exposed me to it. I had heard from two friends, this place was really good so I told my wife. 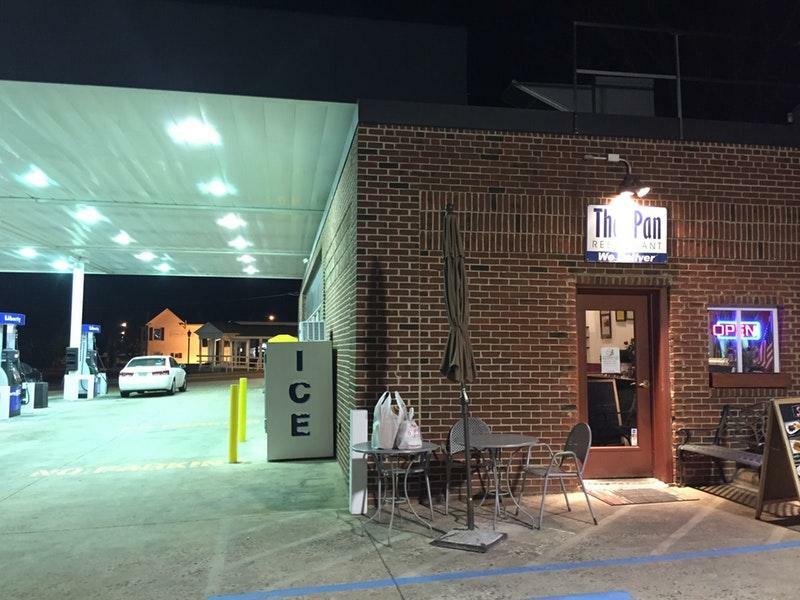 Last night we stopped in for the first time.This is an example of "never judge a book by its cover", it is attached to a gas station as if just trying to make use of extra space. After our first visit, I would say, you would be mistaken to not stop in and give it a try.The staff were very welcoming and pleasant. As we sat and ate, I watched them interact with other customers and it was clear they have numerous regulars. We enjoyed the curry puffs, I tried them with and without the sauce. I preferred them plain, they tasted so good you didn't need the sauce.The panang curry, it seemed as though the sauce was a little thin but it was very good otherwise. I would order it again.The Tamarind Chicken was by far my favorite. I liked it so much, I could go back tonigh for more. The sauce was amazing. I enjoyed every bite of it.We also ordered the fried rice with beef. This was only issue I had. The rice alone was very very good, however, the beef pieces were very tough. I ended up just pushing them to the side and enjoying the rice instead.I wish there was a half star option, this would be a 4.5 review.I would recommend Thai Pan and we will certainly be going back to try additional dishes. Food is delicious and authentic! This has become my go-to for Thai food in Leesburg. Do not mind the fact that they share a building with a gas station. This place is fantastic. 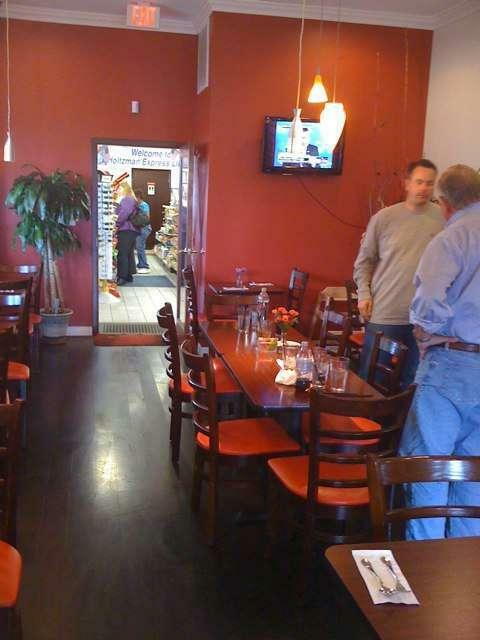 The staff are very friendly and the food has a great authentic taste. I love spicy food and this place does not disappoint in that regard. My wife doesn’t like spicy food as much and there are plenty of options for her here. Even in busy nights, if you order carry out the food is ready in about 15 minutes. I only live about 5 minutes away from here, so I love to call, place an order, and then just leave to get it. I only need to wait a couple minutes for the order to be ready. Even the way they pack the food to go is nice. They think about how to stack things together. Also, to create a flat surface, they add cardboard between the food trays so that things are flat and stable while you take it home. Something that is important to me when it comes to restaurants is how easy it is to ask for changes to the dishes to suit personal tastes. My wife loves Thai fried rice, but likes to customize it a bit. The staff here are very friendly and accommodating. I really appreciate that.